Proper sample preparation and careful data handling are crucial. When there is no room for compromise, Excellence Weighing and Dosing Solutions deliver accurate results first time, every time. Have a question about Precision Balances? Click here! In our brief Precision Balances FAQ you will find answers to the most frequently asked questions, for example what is a precision lab balance, what is the influence of temperature on my precision balance or how should I calibrate my precision balance. The SmartPan™ weighing pan minimizes the effects of air currents on the weighing cell to deliver faster and more accurate results. In most conditions a draft shield is no longer needed, significantly reducing process steps. Analytical balances from METTLER TOLEDO have been ergonomically designed to make your life as easy as possible. Each weighing task can be performed with ease and efficiency. The color-guided SmartTrac™ function makes it easy to dose to your target weight and stay within tolerances. The tough metal housing and extreme overl’oad protection of more than 100 kg safeguard your balance when working with heavy sample containers. The large weighing pan provides extra convenience. Connect your balance to LabX software and benefit from full onscreen user guidance, your results printed in a personalized report, and all your calculations and documentation performed automatically. Data transfer to a PC or software program is easy and error-free via USB or Ethernet. Integrated LabX functionalities assist you in ensuring data integrity. Weighing is one of the most common activities carried out in the laboratory. An electronic balance does not directly measure a mass, rather the force of its weight. The uncertainty of this force depends not only on the technical specification of the measuring instrument but also on many environmental effects such as temperature variations and air drafts. Whether you want to weigh several kilograms or just a few milligrams, XPR weighing and dosing solutions offer you outstanding weighing performance and innovative technologies to help make your daily tasks easier, error-free and compliant. In our brief Analytical Balances FAQ you will find answers to the most frequently asked questions, for example What is a precision lab balance or scale? | Where are precision balances used? What are the application areas of precision balances? | Calibration, adjustment and routine tests of a precision balance – who should do what, when and why? | What is the influence of air drafts on my precision balance? | What is the influence of temperature on my precision balance? What is a precision lab balance or scale? 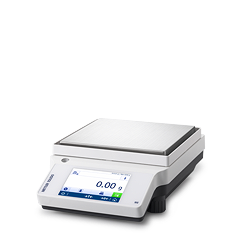 Precision laboratory balances, also called top loading balances, are a form of scale designed to offer highly accurate results, within the sub-milligram range. Used for the measurement of small samples, precision balances provide an accurate, quick, and simple way of determining the weight of items such as particulate matter. Electronic precision balances offer a wide range of weighing capacities, with maximum capacities up to 64 kg. They allow readability in the range of 1 mg (0.001 g) to 1 g, or 0-3 decimal places. 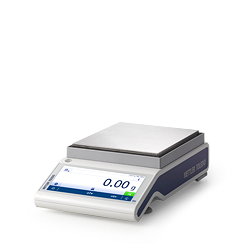 High precision laboratory balances can extend this accuracy to 4 decimal places, on the display of the precision balance, 0.0001g (0.1mg) increments are used. Precision balances produce steady readings in a wider range of environmental conditions than analytical balances which must always be used under strict conditions to ensure accurate readings. Being less sensitive to temperature fluctuations and air currents, precision balances can serve as the more convenient method of measurement. While a draft shield is not always necessary for the accurate use of a precision balance, when working in a fume hood or under normal conditions with a high-resolution precision balance of 1 mg readability, one should be employed to maintain performance. 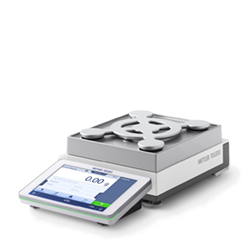 The innovative SmartPan™ weighing pan used by METTLER TOLEDO’ XPR and XSR precision balances provides extraordinary stability and significantly reduces the impact of air currents on results. Repeatability is improved by up to 50% and even on 1 mg precision balances, accurate results can be acquired without a draft shield. Used in a fume cupboard, 5 and 10 mg models deliver results in as little as half the time of standard models. Where are precision balances used? What are the application areas of precision balances? A wide range of industry areas rely on the precision of balances, chemistry being the most common, to deliver exact results. Use for a precision balance range from research and quality control laboratories of pharmaceutical, chemical, food and textile industries, to educational institutions. Applications for a precision balance in a laboratory setting include: simple weighing, dynamic weighing, sample preparation, statistical quality control, formulation, and interval weighing. Highly accurate and reliable, a precision balance is the ideal choice for any daily weighing task in the lab. High precision, top-loading laboratory balances of 10 kg or more, equipped with a larger platform, are typically used in aggregate, pharmaceutical, chemical and adhesive formulation applications. Calibration, adjustment and routine tests of a precision balance – who should do what, when and why? A precision balance calibration assesses the behaviour of the chosen instrument. Calibration should only be performed by an authorized service technician. An adjustment changes the behaviour of a weighing instrument and requires an intervention which, in most cases, permanently alters the measuring instrument. Adjustment should not be mistaken for calibration, the terms are not interchangeable, and calibrations should always be performed after any adjustment procedure made to the balance. Many times people refer to "calibration" when "calibration and adjustment" is more accurate. In many cases it is, in fact, the results of a calibration procedure that indicates a need for an adjustment or other repair to be made. After the adjustment or repair is complete, the calibration procedure should always be repeated to verify the proper measurement relationship has been re-established. In between regular calibrations by a technician, routine testing by the user should also be made using two external weights. These user tests allow for early detection of potential issues and deviations from weighing process requirements. 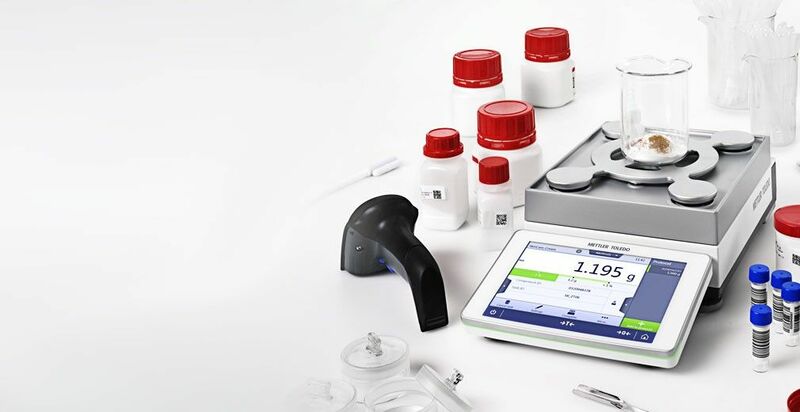 METTLER TOLEDO has developed a globally applicable scientific standard for the correct selection, calibration and operation of weighing equipment known as GWP®, or Good Weighing Practice™. Further clarification of terms regarding Calibration and Adjustment of weighing equipmentread the document. What is the influence of air drafts on my precision balance? As cited above, electronic precision balances do not directly measure a mass, rather the force of its weight. The uncertainty of this force depends not only on the technical specification of the measuring instrument, but also on many environmental effects such as temperature variations and air drafts. In the case of measurements of 0.001 g or less, the force exerted by moving air is easily detectable. A draft shield or enclosure, usually made of plastic or glass, fits around the weighing pan in order to shield the pan from these effects. Recent innovations of METTLER TOLEDO in the design of weighing pans for precision balances and scales help to minimize any errors due to air drafts. The innovative SmartPan™ weighing pan makes it possible to deliver results up to twice as fast, even under harsh conditions. The results show an outstanding 86% improvement in repeatability (precision) for a 1 mg readability balance under harsh conditions (inside a safety cabinet), delivering exceptional performance for any application. What is the influence of temperature on my precision balance? Temperature fluctuations can cause non-reproducible weighing results. For best stability and performance of measuring instruments, balances should be used in an area where room temperature can be regulated and where the instrument should remain with power ON continuously. Balances should be ideally set up on a dedicated workbench, with a suitable, maintained room temperature. When a precision balance is first connected to the power supply or switched on, a warm-up time of approximately 1-2 hours is recommended. This period allows the balance to adjust to ambient temperature and stabilise to its environment. This warm-up should be repeated every time the balance is turned on after a period of inactivity. METTLER TOLEDO precision balances are equipped with “FACT” (fully automatic motorized internal self-adjustment) which compensates for temperature drift. When a defined temperature difference is exceeded, the adjustment procedure is triggered automatically. This makes it possible to ensure the accuracy of the balance without operator intervention, delivering better usability across all applications.